Roeqiya Fris is a Dutch-Egyptian adventurer, artist and teacher who lives in Rotterdam. 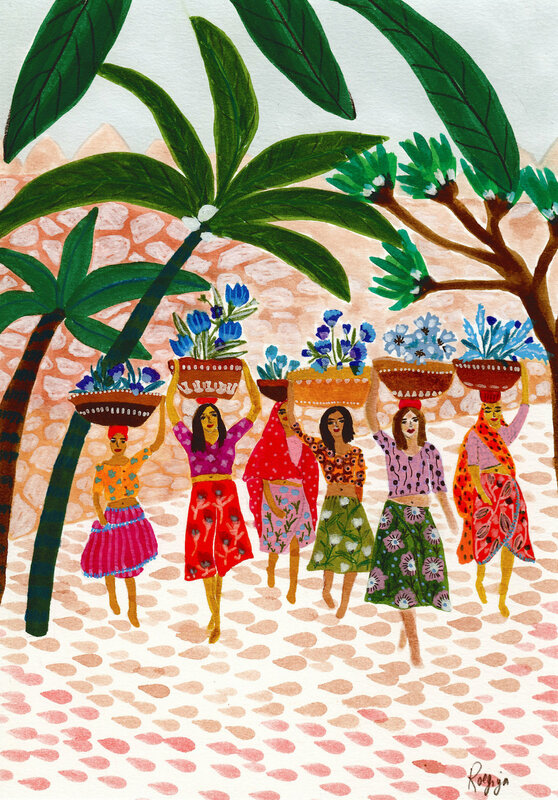 She creates these eye-popping colourful illustrations of exotic scenes inspired by her childhood memories of travelling – and I’ve just discovered her Etsy shop. Have a look at her Etsy shop, here. Psst. She creates tiny scenes in vintage tins. Pssst. She’s been sketching her road trips for 20 years. Psssst. These colouful donkey prints.